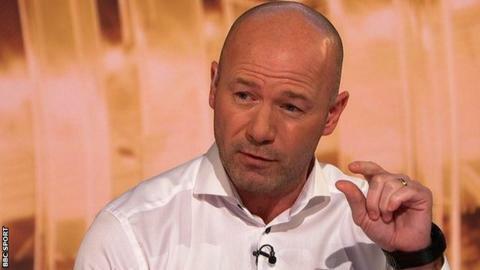 Match of the Day pundit and former England captain Alan Shearer has extended his BBC contract to 2020. Shearer joined the BBC shortly after his retirement in 2006 and has covered five major international tournaments. He said: "I'm loving my broadcasting work with the BBC and I'm excited to continue my role working across its wide range of football coverage." Philip Bernie, Head of TV Sport for the BBC, described Shearer as "one of the very best pundits in the business". Shearer will be part of the BBC's team for Euro 2016 this summer, including fronting a BBC One documentary reflecting on 20 years since Euro 96, when he was top scorer with five goals.